The sciences, each straining in its own direction, have hitherto harmed us little; but some day the piecing together of dissociated knowledge will open up such terrifying vistas of reality, and of our frightful position therein, that we shall either go mad from the revelation or flee from the deadly light into the peace and safety of a new dark age. In this opening paragraph of “The Call of Cthulhu,” first published in the pulp fiction magazine Weird Tales in 1928, H.P. Lovecraft set out a view of things that animates pretty well everything he wrote thereafter: The human mind is an accident in the universe, which is indifferent to the welfare of the species. 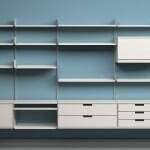 We can have no view of the scheme of things or our place in it, because there may be no such scheme. The final result of scientific inquiry could well be that the universe is a lawless chaos. 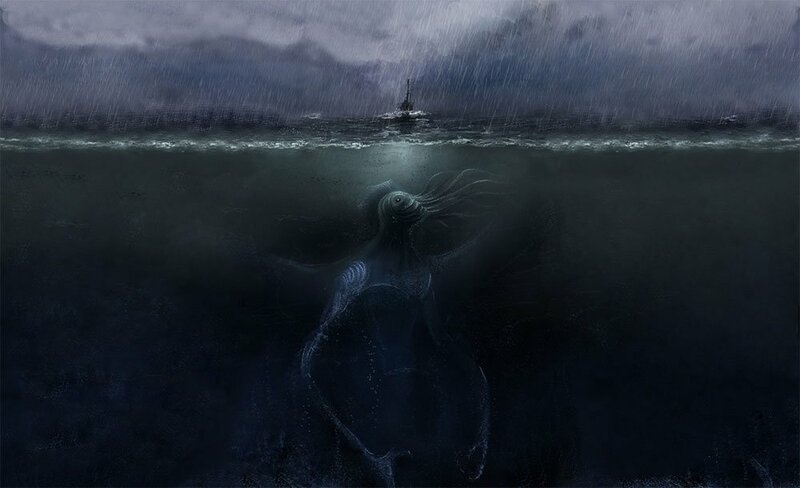 Sometimes called “weird realism,” it is a disturbing vision with which Lovecraft would struggle throughout his life. Born in 1890 in Providence, Rhode Island, Howard Phillips Lovecraft was well acquainted with the fragility of the human mind. When Howard was three years old his father was confined in a psychiatric institution after a breakdown, probably linked to advancing syphilis, and died there five years later. 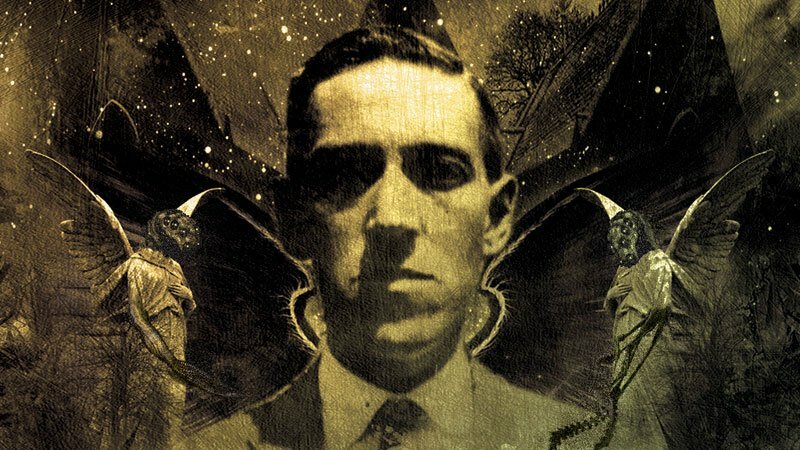 Lovecraft’s early life was shaped by his grandfather, two maiden aunts,and his mother, Sarah Susan Phillips Lovecraft, with whom he formed what may have been his most enduring relationship. A precocious, high-strung child, he was often unwell and suffered from attacks of nervous anxiety. After years of mental illness, Sarah spent time in the same hospital, where in May 1921 she also died. At a meeting of would-be journalists in Boston that same year, Lovecraft met Sonia Haft Greene, a Russian-Jewish woman some years older than himself, whom he married in 1924. They seem not to have been unhappy but it was not long before they drifted apart. Financial insecurities must have had a part in the break-up, along with opposition to the marriage from Lovecraft’s aunts and his own intense dislike of New York. The two went on to separate lives, Sonia moving to California, remarrying and dying there in 1972. 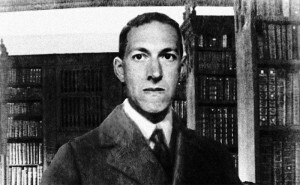 Lovecraft returned to Providence, where he lived with his aged aunts, in straitened circumstances and increasingly ill. He died from cancer in 1937 convinced that his work—which had received only slight recognition in his lifetime—would soon be forgotten entirely. 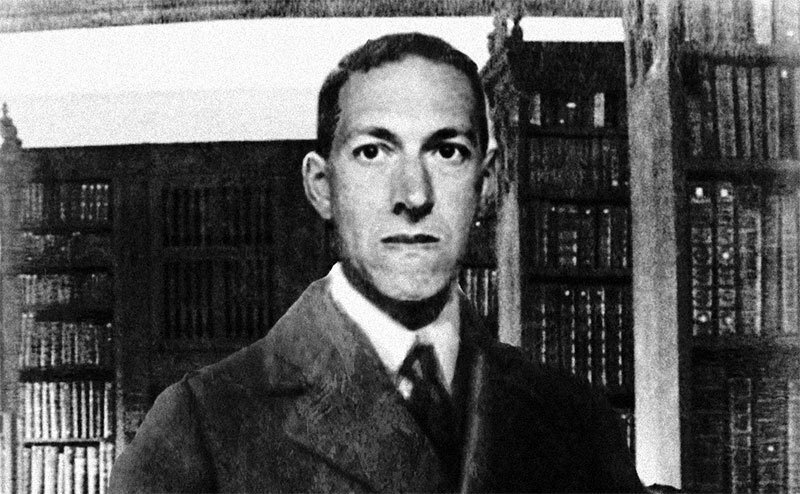 Lovecraft’s life was spent on the margins of society, eking out a small inheritance and scraping an uncertain living from journalism and amateur publishing. Some of his attitudes may have come from his experience of downward social mobility. His wealthy grandfather lost most of the family fortune in a business failure in 1900. For Lovecraft, his mother and his aunts, the years that followed were a long decline from what they liked to think had been an aristocratic lifestyle. The aunts’ opposition to his marriage to Sonia—at the time a successful milliner—may have been rooted as much in the family’s social snobbery as in the anti-Semitism that was rife in the U.S. in the early decades of the 20th century. Despite his marriage, Lovecraft’s own animus ran more deeply. There can be no doubt of his racism, which underpinned his detestation of what the narrator in one of his stories described as “the polyglot abyss of New York’s underworld.” Some of his letters invoke explicitly racialist theories of cultural degeneration. It has been suggested in Lovecraft’s defence that in later years his attitudes mellowed. It is true that, under the impact of his experience of the Great Depression, he expressed some sympathy with Roosevelt’s New Deal, mocking the right-wing American obsession with free markets and arguing that a measure of economic planning was needed in order to combat mass unemployment. That, however, does not make him any kind of liberal. Arguments of this kind were widely current, and not only in circles that would now be regarded as progressive. Nazism and fascism were hostile to capitalism, at least in their rhetoric, precisely because many of their supporters believed that capitalism promoted liberal values. In the 1930s, racism and anti-capitalism often went together. For all his scorn for the age in which he lived, Lovecraft embodied some of its ugliest (and most commonplace) beliefs and attitudes. … all my tales are based on the fundamental premise that common human laws and interests and emotions have no validity or significance in the vast cosmos-at-large … To achieve the essence of real externality, whether of time or space or dimension, one must forget that such things as organic life, good and evil, love and hate, and all such local attributes of a negligible and temporary race called mankind, have any existence at all. Only the human scenes must have human qualities. These must be handled with unsparing realism (not catch-penny romanticism) but when we cross the line to the boundless and hideous unknown—the shadow-haunted Outside—we must remember to leave our humanity and terrestrialism at the threshold. The American writer August Derleth, a friend and correspondent who played a pivotal role in collecting Lovecraft’s fiction and bringing his work to a larger public, suggested that Lovecraft viewed his stories as vehicles for a newly invented mythology. It is an astute observation. Throughout his adult life Lovecraft was an unwavering atheist and materialist. In a letter of 1918, he declared: “… the Judaeo-Christian mythology is NOT TRUE.” At the same time he had nothing but scorn for the rival mythology of his day, the belief that humankind—“the miserable denizens of a wretched little flyspeck on the back door of a microscopic universe,” as he described the species in the same letter—was at the forefront of cosmic evolution. For him the cosmos was a trap, and human beings the prey of blindly mechanical forces. His “Cthulhu Mythos”—a fictional alternate reality containing godlike minds far more powerful than those of human beings, and also utterly different from theirs—was a response to this vision. Whether they resemble worms, amoebae or bubbling slime, the creatures have one thing in common. None of them is remotely human. It’s as if Lovecraft invented these horrible phantoms in order to escape a worse horror—the human world itself. The “punch” of a truly weird tale is simply some violation or transcending of fixed cosmic law—an imaginative escape from palling reality—hence phenomena rather than persons are the logical “heroes.” Horrors, I believe, should be original—the use of common myths and legends being a weakening influence. Since Derleth collected Lovecraft’s writings there have been many anthologies. Norton’s new volume must surely be the definitive collection. It is meticulously and imaginatively edited, beautifully illustrated, and immaculately produced, with a thought-stirring introduction by the graphic novel writer Alan Moore. Along with all the canonical tales, there is copious additional material, including lists of the complete works and revisions by other writers and descriptions of his influence on popular culture. Coming not long before the 125th anniversary of his birth, this magnificent volume is a testimony to Lovecraft’s staying power, which would have surprised him as much as it would his many detractors. Far from disappearing from view as he expected, Lovecraft has been repeatedly resurrected by successive generations. No one would now write of him as the critic Edmund Wilson did, in the New Yorker in 1945: “The only real horror in most of these fictions is the horror of bad taste and bad art.” The true horror was in fact that of judging Lovecraft by the standards of a defunct literary culture. In H P Lovecraft: Against the World, Against Life (1991) Michel Houllebecq, who has championed Lovecraft much as Baudelaire did Edgar Allan Poe, noted that: “There is something not really literary about Lovecraft’s work.” Lovecraft’s distance from “literature” is one of the sources of his power as a writer. That’s not to say he had no literary influences. At the Mountains of Madness, a novella describing an expedition to the Antarctic and the ancient species found there, shows affinities with Poe’s The Narrative of Arthur Gordon Pym of Nantucket, while “The Dunwich Horror,” a seminal tale of the “Cthulhu Mythos,” is heavily influenced by Arthur Machen, the Welsh writer of unsettling tales. Lovecraft acknowledged these debts, as well as his admiration for the work of Lord Dunsany, M.R. James, and Walter de la Mare, among others. Yet these influences only accentuate the singularity of Lovecraft’s vision. He discovered Poe when he read him as a young boy, and admired him ever after; but (despite superficial resemblances in subject matter) Poe exalted the human imagination over the natural world with a Romantic passion of which there is little trace in Lovecraft. In terms of philosophy, Machen and Lovecraft had little in common. De la Mare’s suspension of disbelief in everyday reality is far removed from Lovecraft’s unyielding materialism, while Dunsany’s wistful fairy tales lack his uncanniness. There may be a greater affinity with M.R. James, but there is nothing in Lovecraft of James’s nostalgia for the late-Victorian world. Lovecraft was too much of an outsider to have any firm mentors. The world-view from which he fashioned his stories was distinctively his own. His atheism and materialism weren’t unusual in America at the time; H.L. Mencken, for one, held similar views. What is striking is what he made from this familiar philosophy. The weird realism that runs through his writings undermines any belief system—religious or humanist—in which the human mind is the center of the universe. There is a tendency nowadays to think of the world in which we live as an artefact of mind or language: a human construction. For Lovecraft, human beings are too feeble to shape a coherent view of the universe. Our minds are specks tossed about in the cosmic melee; though we look for secure foundations, we live in perpetual free fall. With its emphasis on the radical contingency of the human world, this is a refreshing alternative to the anthropocentric philosophies in which so many find intellectual reassurance. It may seem an unsettling view of things; but an inhuman cosmos need not be as horrific as Lovecraft seems to have found it. He is often described as misanthropic, but this isn’t quite right—a true misanthrope would find the inhumanity of the universe liberating. There is no intrinsic reason why a universe in which people are marginal should be a horror-inducing place. A world vastly larger and stranger than any the human mind can contain could just as well evoke a sense of excitement or an acceptance of mystery. Lovecraft’s anti-mythology of slimy, inhuman creatures reflected an unresolved struggle within himself. He firmly rejected religious mythologies that accorded humankind a special place in the scheme of things, but he could not accept the implication of his materialism, which is that human life has no cosmic value or meaning. Rejecting any belief in meaning beyond the human world, he also rejected the meanings human beings make for themselves. He had no interest in the lives of most people, and from his early years seems to have believed his own would count for very little. He was left without any sense of significance. So, obeying an all-too-human impulse, he fashioned a make-believe realm of dark forces as a shelter from the deadly light of universal indifference. Article by John Gray at The New Republic. 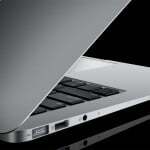 Cant wait for this theme – its a free or a paid theme? maybe I promote your website on zoomlab.de ? for this theme?